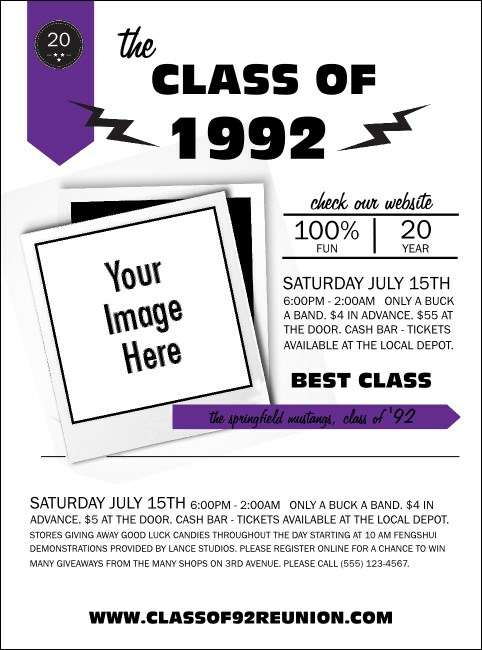 Classify your pre-event promotions in the category of awesome when you print Class Reunion Mascot Purple Flyers and advertise your alumni event in advance. With twenty-three lines of text for all your event details and room to include your own image like a school mascot, these Flyers will help your ticket sales soar! TicketPrinting.com helps put your event in a class of its own.